We assist and counsel both management and employees in all aspects of New York employment law. We represent corporate clients, executives, consultants, professionals and business owners in all employment related issues, from compliance and dispute avoidance and resolution, to the full spectrum of issues encountered in the context of the employer-employee relationship. We advise our corporate clients´ human resources personnel and guide them to identify and avoid complex employment law pitfalls. 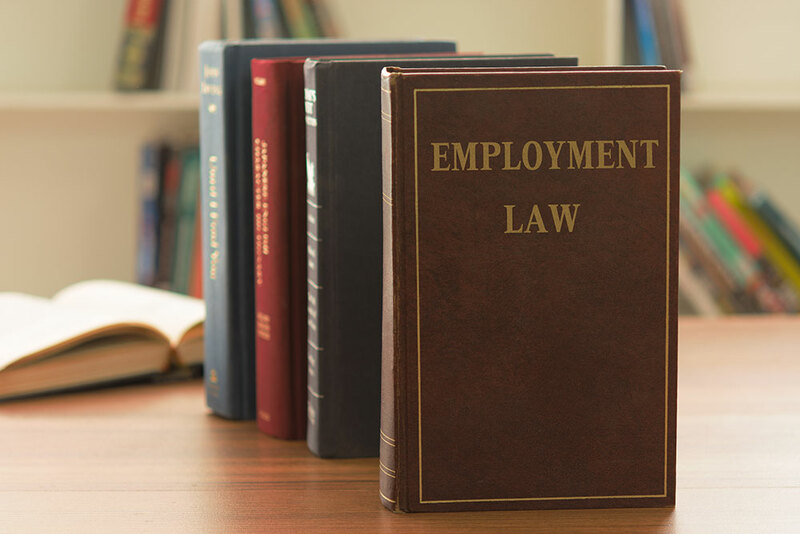 Our steadfast goal to each client facing employment law issues is a timely and cost-effective resolution with the least possible disruption to the organization’s business. Thus, the firm promotes a preventative approach to employee relations by helping businesses develop strategies to anticipate employee problems before they arise. The firm also provides pre-litigation advice and counseling to employers on general employment, pre-termination, wage, contract and overtime issues to help them avoid litigation and to comply with the numerous laws and regulations governing the employment relationship. A well drafted comprehensive Employee Handbook and Policy Manual, tailored to your specific company’s exact needs can be an instrumental defensive tool against costly litigation directed against your business, whether grounded in alleged discrimination, wage and hour violations, retaliation or unlawful termination. It is a powerful shield which not only spells out your policies, including progressive systems of discipline, but can also help decrease your company’s insurance premiums and pay for itself over time. We draft comprehensive employment agreements compliant with New York law to match your exact needs, whether you are an executive or professional employee, or an employer. A comprehensive and well written agreement helps prevent exposure to costly litigation and incorporates solutions to all aspects of the employer-employee relationship which are important to your interests. Such agreements typically spell out the identity of all parties, the representations made by each of the parties as to required qualifications, licenses, expertise or other matters, the duties and responsibilities of all signatories, the benefits and remuneration exchanged for the services rendered, the duration of the relationship and any permissible temporal extensions, confidentiality, non-compete and non-disclosure obligations, the terms of default and its cure, the available legal and equitable remedies on breach, the choice of law made by the parties, as well as any agreed upon forum for the adjudication of any dispute which may arise related to the agreement, ranging from arbitration to litigation in a court of law. When an employer-employee relationship is to be avoided in favor of an independent contractor or consultancy relationship, the existence of a well drafted agreement is often critical to protect, preserve and memorialize all parties’ respective interests. Independent contractors or consultants are not entitled to numerous statutory protections and benefits New York law provides only for employees. In addition, consultants’ remuneration is not subject to withholdings, as in the case of employees. Consultants are often required to carry their own workers compensation insurance, whereas employees must be covered under an employer-provided policy. New York has stringent tests utilized to determine whether the parties’ relationship is legitimately that of independent contractor-company or employer-employee instead, including but not limited the extent of control exercised over the hired party by the company. The differences and potential consequences stemming from such classifications are vast and serious and a solid agreement is an instrumental and potentially determinative factor in the analysis. Severance Agreements offered to terminated or departing employees often play a decisive role in avoiding costly litigation. Such agreements, when properly drafted, include comprehensive releases and waivers of rights to litigate all aspects of the employer-employee relationship. They bring finality and peace of mind to all concerned. It is important to understand however that New York law, as well as potentially applicable federal law, contain numerous highly technical requirements in order for such releases and waivers to be enforceable. Failure to meet precisely such legal requirements when drafting releases can be fatal to the enforceability of the agreement and may well in fact “resurrect” claims previously deemed released. We carefully draft non-compete, confidentiality and non-solicitation provisions in accordance with New York law so that our client’s exact needs and interests are protected. The employer’s needs are diametrically opposite to the employee’s. The employer’s interest is to gain the maximum possible protection against the employee’s future competing activities, raiding of customers and use and disclosure of information acquired during the course of the employment relationship. On the other hand, the employee’s interest is to be protected from unfair restraints and advances of his or her career or business ventures in the future. Non-compete and non-solicit provisions in contracts, often called restrictive covenants, are restrictions on an individual’s employment or partnership both during employment with a particular employer and after that employment ends. These restrictions can prevent an executive, partner, or professional from working in his or her own industry for a period of time after employment ends, or from soliciting employees, clients, or customers after leaving employment. In some cases these restrictions can also prevent an individual from starting a new business and from hiring former employees. These types covenants are quite frequently embedded in employment agreements but are also found in consultancy agreements, equity agreements, stock and option grants and in employee handbooks. They can also be stand-alone agreements that are signed before and often even during employment. It is important to note also that in some states common law imposes restrictions even without a written agreement, as an extension of the duty of loyalty or other fiduciary duties. Nevertheless, such common law rights may be abridged or waived in a properly drafted agreement. New York follows the blue pencil rule, and courts often strike out clauses which are excessive as to time, scope or geographical area defined in a non-compete agreement. Consulting with our attorneys before, not after, employment begins can often prevent irreparable and very costly issues related to such issues.